In the curriculum 2013, financial education within the formal school curriculum is recognised as one of the most efficient and fairest ways to reach young people on a large scale. Learning financial things would ensure young people to have knowledge, skills, values and attitudes to enable them to make savvy and effective financial decisions in their daily lives now and in the future. 3. Attitude time regarding notes and coins. Patience and waiting, when itu comes to money though, it is important that children begin to realise that they can not always buy what they want, when they want. Sometimes they have to save and that takes time. It is never too early to introduce to money concepts. 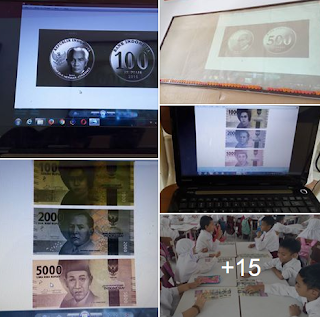 Pfeg's research and survey found that 94% of teachers and 79% of parents agree that financial education should be taught ini schools, but less than a third of primary schools offer it (UK) and Indonesia by employing curriculum 2013, gives ideas to know-how and resources to put together in the program.